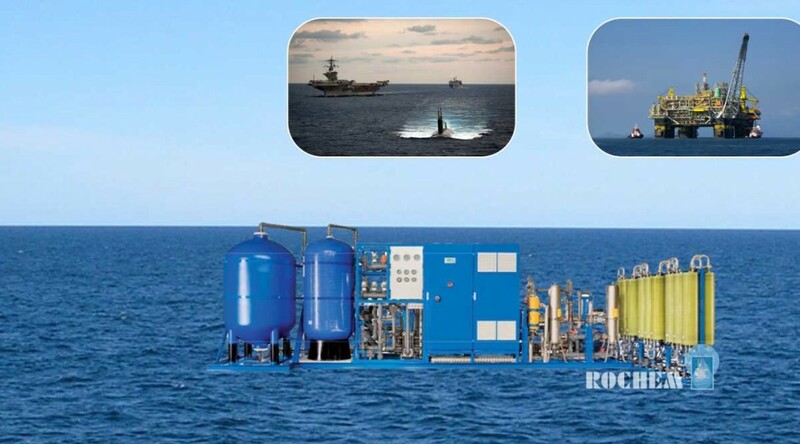 ROCHEM ® system design is based on 30 years of experience of installation of more than 3000 units on ships of different kinds and sizes and more than 700 units on naval ships, such as frigates, corvettes, helicopter carriers, mine hunters, patrol boats, submarines, etc. RAO RO‐Plant designed for the special requirements on ships. The RAO RO‐Plants can produce naturally pure potable water with app. 500 mg/l of remaining minerals at a seawater temperature of 25°C. 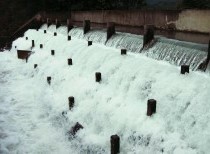 The quality of the produced water will be in accordance to the latest requirements of the WHO. The RAO ROCHEM Fresh Water Generators use the reverse osmosis principle. In this cross flow mode of filtration, a percentage of the feed water permeates through the reverse osmosis membranes, to produce water that is free from suspended solids, bacteria and viruses. This process is sensitive to the temperature and salinity of the feed water. 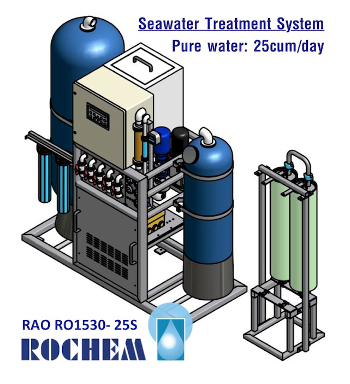 With Rochem technology, seawater treatment plants are designed with capacity of 2m3/day to 100m3/day for kinds of ships. 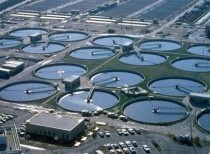 Plants designed with 600m3/day to 100.000m3/day for residential areas, islands. RAO serves the needs of the ship´s crews and offshore platform´s operators for high-quality drinking water and for environmental-friendly waste water treatment. Every RO system supplied by RAO is completely assembled and fully tested prior to dispatch from the factory. 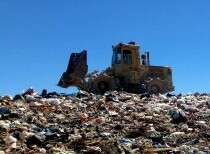 Therefore they can be in full operation literally just a few hours after arriving on site. There are only four fixed or flexible pipe connections to make plus an electrical supply. Nothing else. 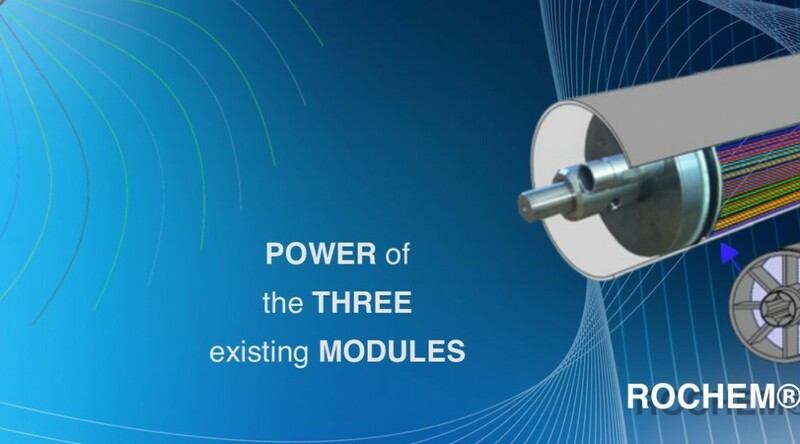 The significant difference to conventional spiral round modules is that Rochem Technical Services combines different feed channels, permeate carriers and membranes in one module element. 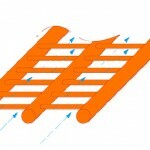 The module element can be split in parts.Each part includes different feed spacers and membranes; also the membrane cushion carriers can be different. R.T.S. Rochem Technical Services has a lot of possibilities to find the ideal composition for your particular objectives. 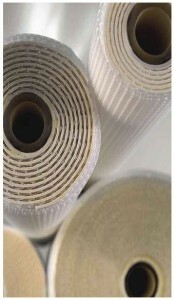 The heart of the TS module is the membrane element.This consists of membrane cushions and spacers wrapped in a tube element. The completed membrane element is then pushed on the rod-shaped permeate outlet and collecting device. The membrane element is provided with end flanges onboth sides.The end flanges consist of at least one input for the feed medium to be separated and one output for the retentate. The border elements are kept sealed to the tube element. The TS element is covered in a pressure vessel. For different applications from different materials. 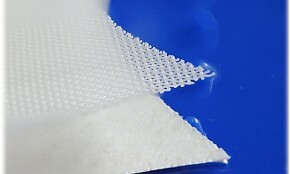 The membrane cushion is made up with a sheet Known as the permeate carrier. 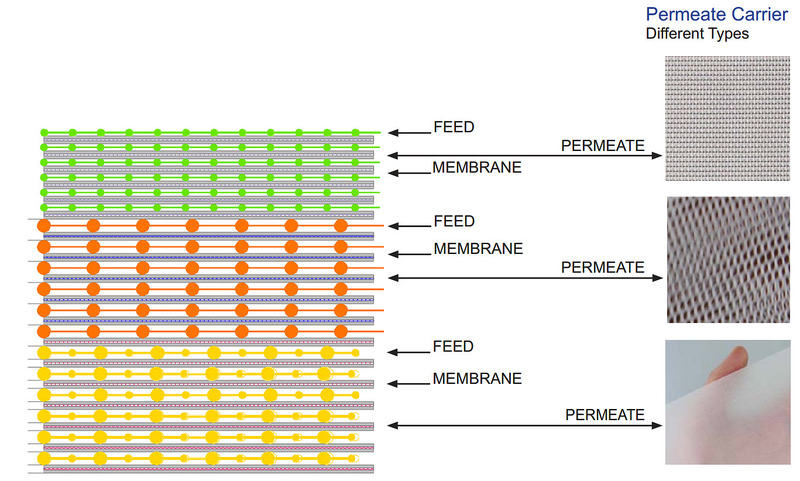 This permeate carrier is sandwiched between two membranes. 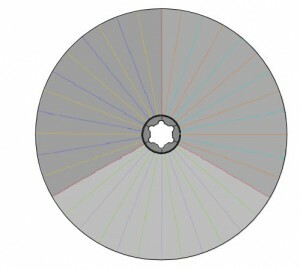 The outer diameter is sealed by ultrasonic welding of the three ore more sheets together. 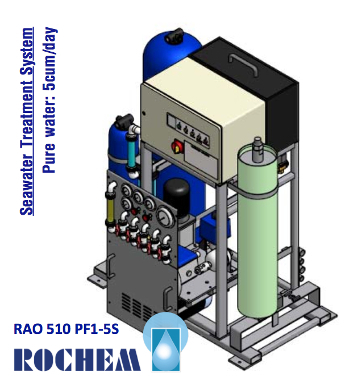 Rochem advanced reverse osmosis and nanofiltration processes significantly increase the permeate recovery rate and reduces the volume of concentrate. 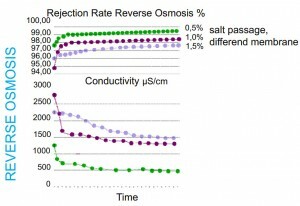 Depending on the chemistry of the untreated feed water, the volume of concentrate produced can be reduced by at least 50% from the volume of a single pass RO treatment, improving waste water management and reducing operating costs. 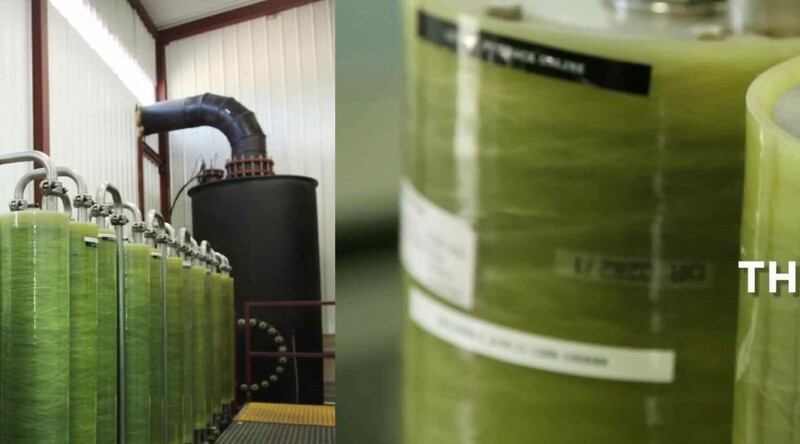 Reverse osmosis and nanofiltration technology applied towaste water treatment is part of an envi- ronmentally friendly and sustainable treatment system. The R.T.S. 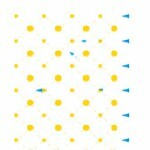 reverse osmosis and nanofiltration membranes and the TS – elements provide a process that: – Is a careful and effective use of assets and resources – Minimizes the burden on the environment – Is commercially feasible and affordable. The R.T.S. 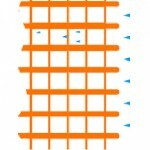 “TS Triple S Modules“ are manufactured from the best and most sophisticated materials, for the customer ́s application. The pressure housing is made out of glass fiberup to 90 bar operating pressure and out of stainless steel up to 120 bar (316-316A). End flanges are made out of ABS, Ulfrem or stainless steel. ROCHEM ASIAN OPERATIONS since 1993. ROCHEM ASIAN OPERATIONS (RAO) started in 1993 on behalf of the Rochem Group of Companies with initially the vision to serve the needs of marine customers in the marine chemical and maintenance field in all Asian major ports. ROCHEM ASIAN OPERATIONS has over the years also expanded to include numerous non-marine industrial projects with World Wide Deliveries & Servicing. The membrane technologies offered are based upon the ROCHEM® Module Technology and other advanced plant design technologies. ROCHEM ASIAN OPERATIONS (ROA) quickly became an important player on the International market. 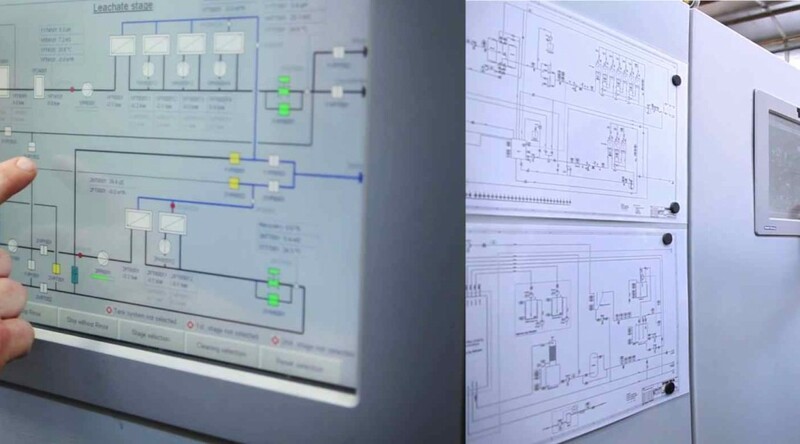 The RO plants using ROCHEM® Module Technology are shipboard system favorites. Over 3000 installations with varying capacities ranging from small vessels to the very largest, including most of all ASIAN Navies and some NATO Navies, Oil platforms are in daily use all over the world. Certified by all well- known Classification Societies, the systems provide fully automatic operation, are easy to maintain, and avoid the fouling problems encountered by competitive systems. In 1993, ROA started by offering systems using at that time the worldwide patented ROCHEM Disc Tube (DT) Module Technology. Later on this was joined by other ROCHEM® Module Technologies “which are an upgraded and improved version offering several advantages on top of the older DT-Module technology such as higher performances and longer membrane life time, less consumption of membrane cleaners. 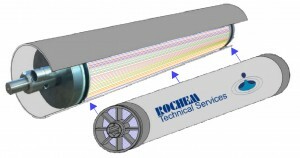 The DT and the latest ROCHEM® Module Technology are based upon a unique membrane module construction that results in an open channel, unrestricted and fully turbulent feed water cross-flow system configuration. 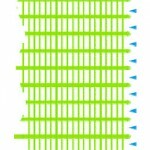 The turbulence prevents suspended solids carried in the feed water from being trapped or settling inside the membrane module. As a result, infrequent and highly successful maintenance cleaning of the membrane is achieved using a standard inbuilt cleaning system. 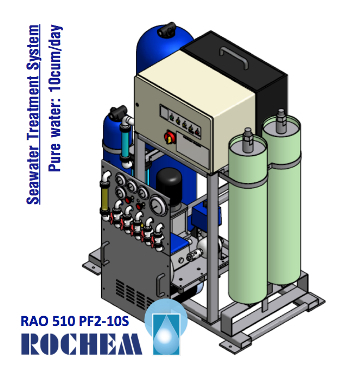 Unlike other RO systems, the need for pre-treatment of seawater feed with acid or other chemicals is eliminated and not needed. The system guarantees full performance, high reliability and greatly extended membrane life. 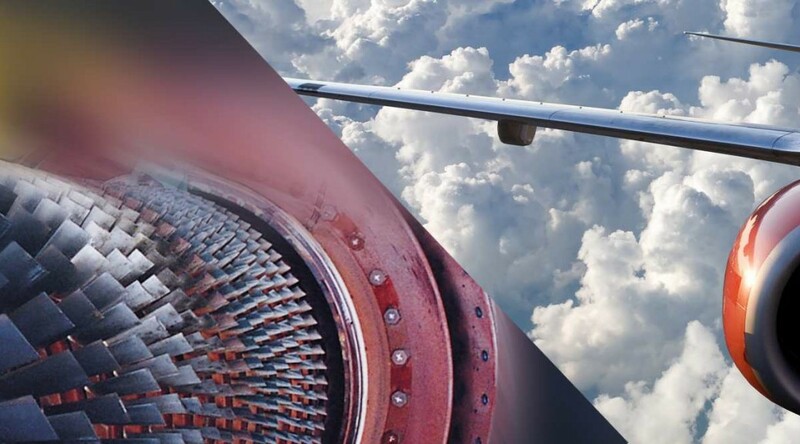 Rochem Technical Services has been a world leader in gas turbine and process compressor cleaning technology, cleaning chemicals and associated equipment since 1978. Rochem Technical Services designs, manufactures, markets and supports its own systems and chemicals on a worldwide basis. The FYREWASH® System has been incorporated by leading gas turbine manufacturers and packagers, such as: STEWART & STEVENSON Gas Turbine Division (Houston, Texas), JOHN BROWN ENGINEERING (London, England), GENERAL ELECTRIC (Schenectady, New York), FIAT (Italy), EUROPEAN GAS TURBINES (Lincoln, England) and other major OEM’s.